Removal of electrical panel covers isn’t a topic that gets talked about enough when it comes to electric maintenance and safety. The truth is that as an industry we’ve gotten into the bad habit (yes, I said it) of opening electrical panels for visual inspection when they are energized or “hot”, as a standard practice. I was recently explaining this to a customer who was shocked to hear that this practice in some instances actually goes against electrical safety standards. Now, it’s not that this customer was inexperienced or uninformed about electrical safety procedures, it was just a classic case of, “that’s the way it’s always been done, so it must be right.” Right? There are a lot of inherent risks when you take off a panel cover because you don’t know what’s behind it. Removing the cover exposes energized parts and conductors, posing a serious risk of shock, nuisance tripping or arc flash explosion. Normal Operation – This exception takes into consideration several determining factors such as making sure the equipment is properly installed and maintained, the equipment doors are closed and secured, all equipment covers are in place and secured, and there is no evidence of impending failure. Additional Hazard or Increased Risk – Permitted where demonstrated that de-energizing introduces additional hazard or risk. Examples of increased or additional hazards can include interruption of life support equipment, deactivation of emergency alarm systems, or shutdown of hazardous location ventilation equipment. Infeasibility – Allowed when employer can demonstrate the task is not possible to do in a de-energized state due to design or operational limitations. This could apply to tasks such as infrared spectroscopy (IR scans) where the equipment needs to be hot to get a thermal image reading as well as during equipment testing or troubleshooting. Less Than 50 volts – Conductors and circuit parts at or less than 50V are not required to be de-energized where the capacity of the source and protection between the source and worker are considered. By removing a cover on an energized panel, you’re playing a game of chance where your odds of electrical injury increase each time. 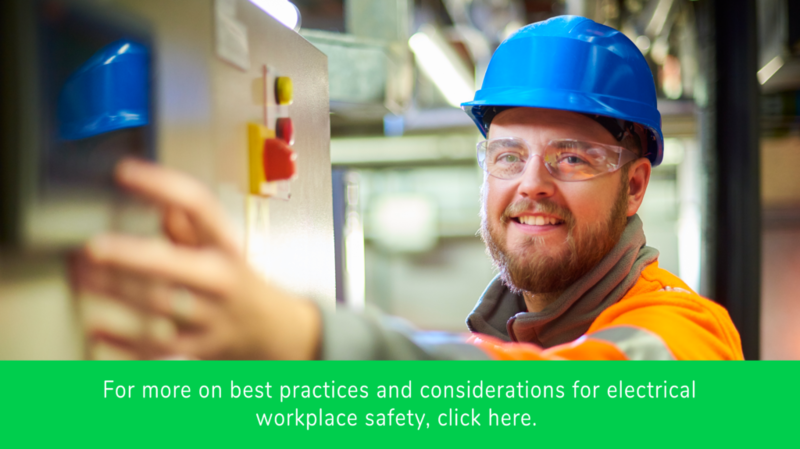 According to the latest data from the Electrical Safety Foundation International (ESFI), electrical fatalities increased by 15 percent between 2015 and 2016. Is that a statistical risk you want to take? Probably not. When it comes to handling electrical panels covers, there’s an element of inconvenience that comes with shutting off the equipment, which likely explains the tendency of doing the work live. Safety on the job should be priority number one, but with restrictions on time and resources, there may be temptation to cut corners and ignore safety protocols to keep tasks moving forward. This type of mentality can not only result in compliance issues or equipment damage, but very serious injury—or worse. With so much at risk, efforts to either de-energize the panel or employ alternative methods of inspection need to be given priority. The use of IR windows can eliminate the need to remove/open covers to conduct infrared thermal scanning, keeping workers out of harm’s way while facilitating preventative maintenance testing. But what can be done for routine or engineering inspections? Credence should be given to the necessity to visually verify electrical components located behind an energized electrical panel cover. Most often, an understanding of what is contained within an electrical panel can be determined through review of existing drawings, manuals, test records and visual inspection of similar de-energized panels. In cases where there remains some uncertainty, an engineering methodology may be developed to mitigate the risk associated with lack of visual verification. Hi Doug, after reading your post people will know that opening a panel cover without de-energizing can be highly risky for them and others also. Thanks a lot for sharing this informative post with us.